Arman is 33 and ready to make a change, starting with a run in the park. When he literally bumps into Amélie - slightly cynical but nevertheless lovely - on the jogging path, he's dead-set on making a connection with her. As a bit of contrived fate brings them together, Arman's best friend Benjamin suffers an unexpected stroke, relegating him to the hospital for weeks where he falls for his doting young physical therapist. Over the course of two autumns and three winters, Arman, Amélie and Benjamin share the incidental moments, unexpected accidents, unconventional love stories and unforgettable memories that will define who they are. "A quirky French indie...filled with oodles of visual flourishes." 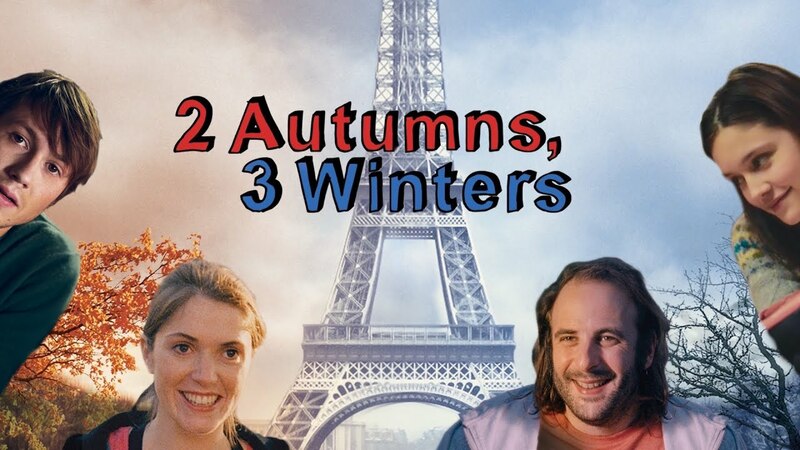 "2 Autumns, 3 Winters is the palpable love of cinema on display!" "Beautifully performed…[with] an insight rarely touched upon in most films!"